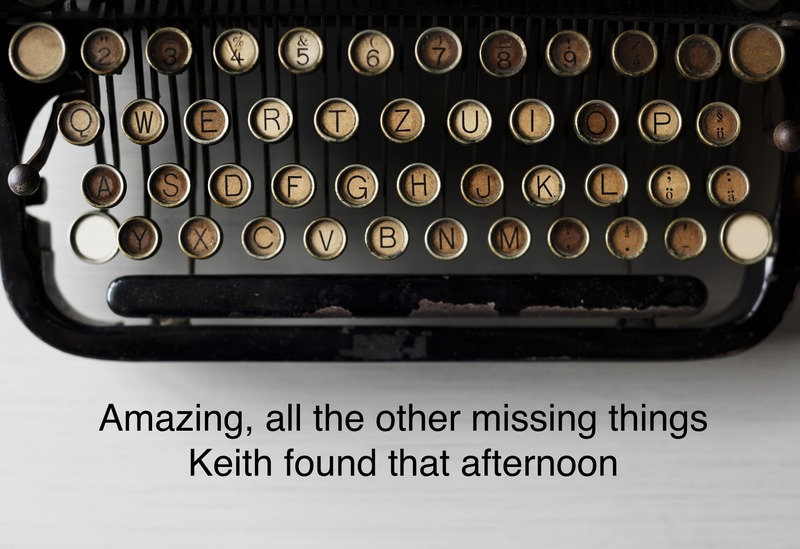 Amazing, all the other missing things Keith found that afternoon. John Sheirer lives in Northampton, Massachusetts, with his wonderful wife, Betsy, and happy dog, Libby. He has taught writing and communications for 26 years at Asnuntuck Community College in Enfield, Connecticut, where he also serves as editor and faculty advisor for Freshwater Literary Journal (submissions welcome). He writes a monthly column on current events for his hometown newspaper, the Daily Hampshire Gazette, and his books include memoir, fiction, poetry, essays, political satire, and photography. Find him at JohnSheirer.com.